How to turn breakfast into a cartoon? Or make an amusing dog out of a sandwich? Easy-peasy! Russian mothers can do it all. Who said that porridge isn’t tasty? 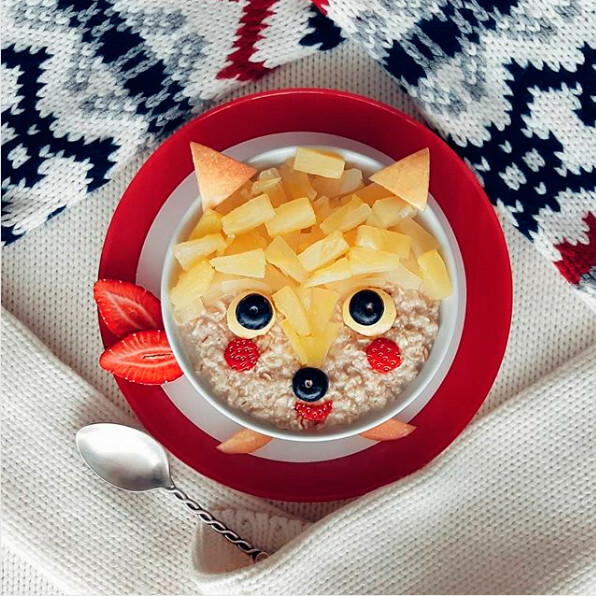 Oatmeal with fruit and berries is just asking to be turned into a cute little fox. To get her child to eat chicken, Anna Latysheva from Omsk made a pair of eyes out of eggs, cheese, and cucumber, using tomato for the legs and wattle. Anna also easily makes mouth-watering sandwiches for her son Timka. 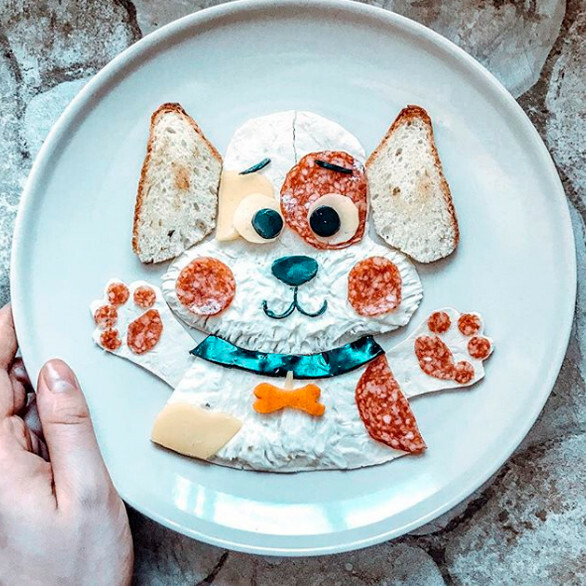 The tasty Tuzik (a cartoon dog) is made from pita bread, cottage cheese, sausage, and toasted bread. Anna recommends eating it with vegetable soup. 4. Good morning, baby owl! 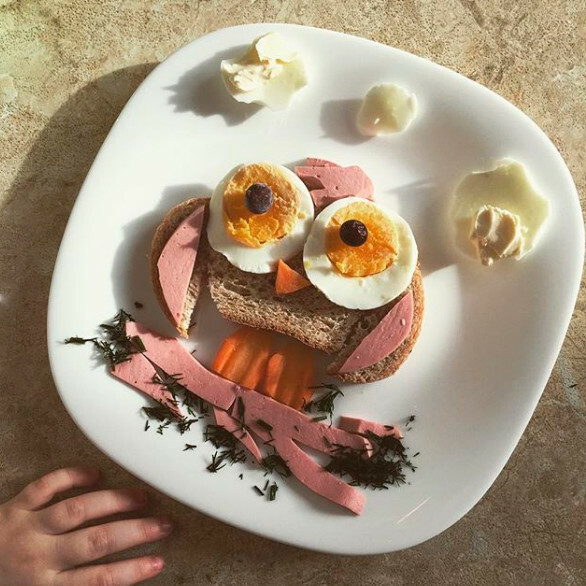 For her daughter’s breakfast, Elena made an owl with a thoughtful stare and a carrot nose. Far too cute to eat! 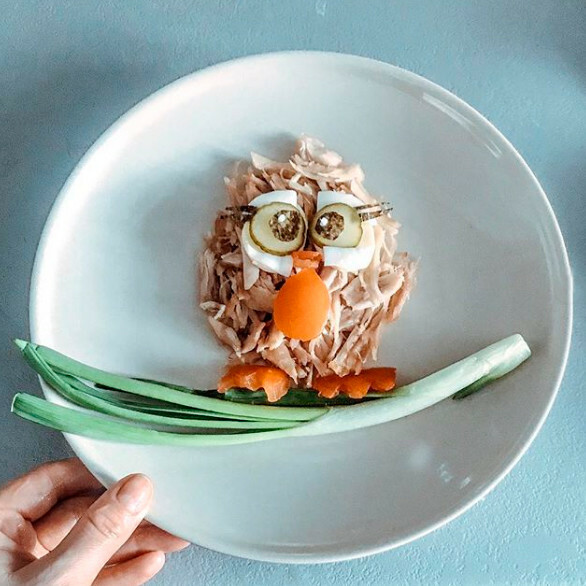 Katya Levikova makes every effort to keep her three-year-old son Danya entertained at meal times. 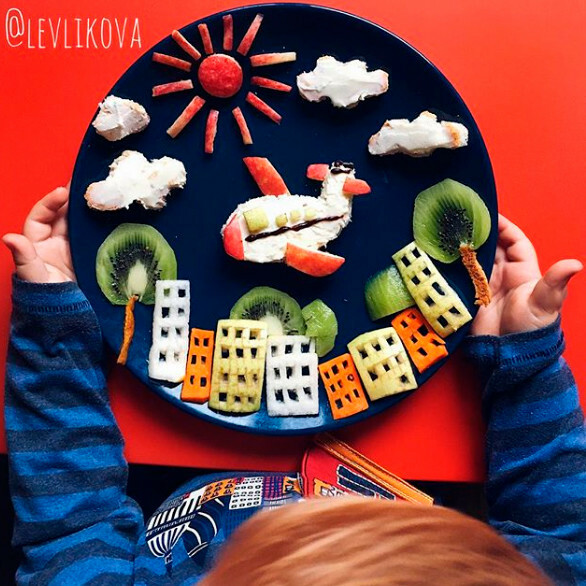 Breakfast today is an entire landscape, with trees made from kiwi fruit and crackers, clouds from cottage cheese, and buildings from apple and carrot. The most difficult part of this work of culinary art was the windows. 6. Anyone for a balloon ride? 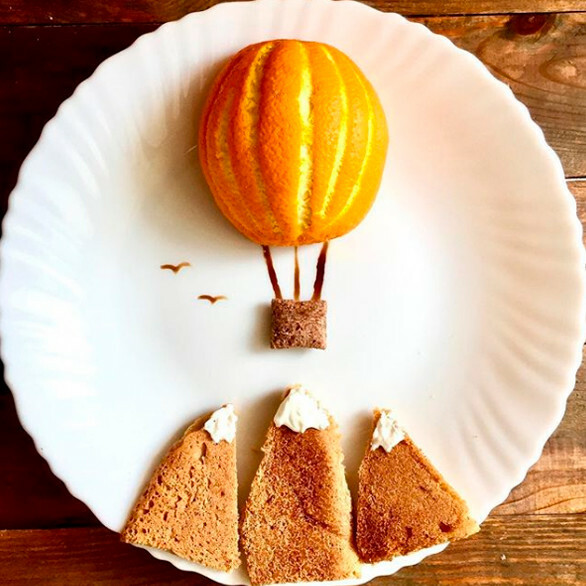 When Sveta gets tired and fancies a trip to the mountains, tangerines turn into a hot-air balloon and cream snow-covered peaks appear on the horizon. 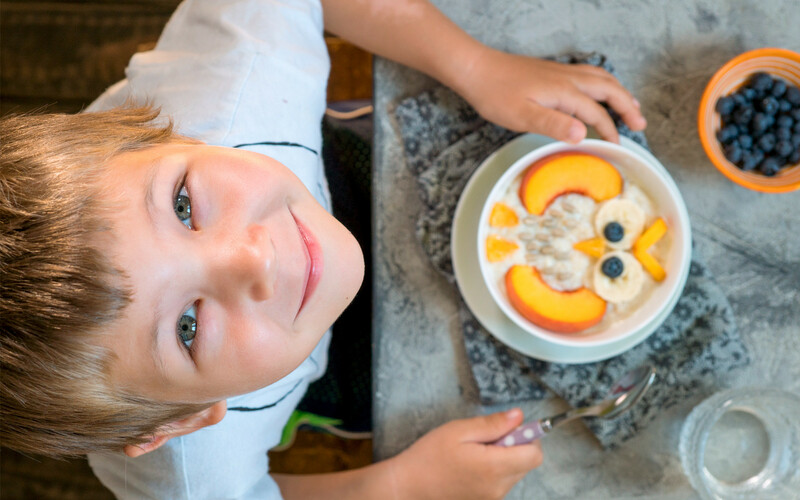 Not sure how to persuade your child to eat vegetables? 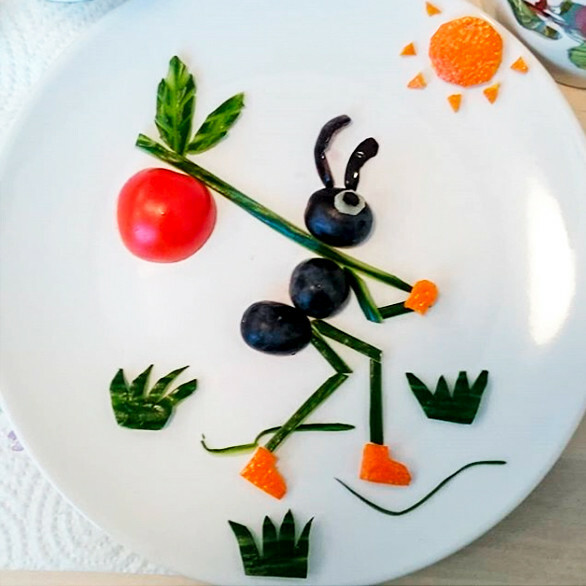 Never fear, the ant-worker will deliver a tomato and other healthy veg straight to where it’s needed. A good option for boys. 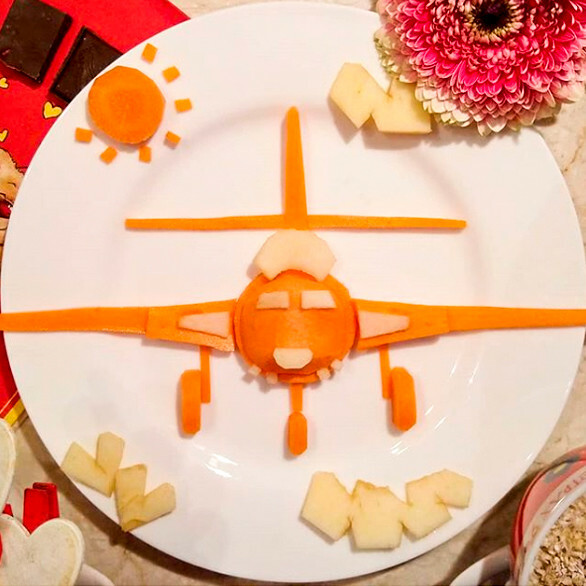 All it takes is a couple of carrots to create this little masterpiece. Irina’s collection contains several hundred carrot aircraft, including a distinctly orange British Hawker Sea Hawk. Aviation buffs will be interested to know that the non-carrot version made its maiden flight on September 2, 1947. 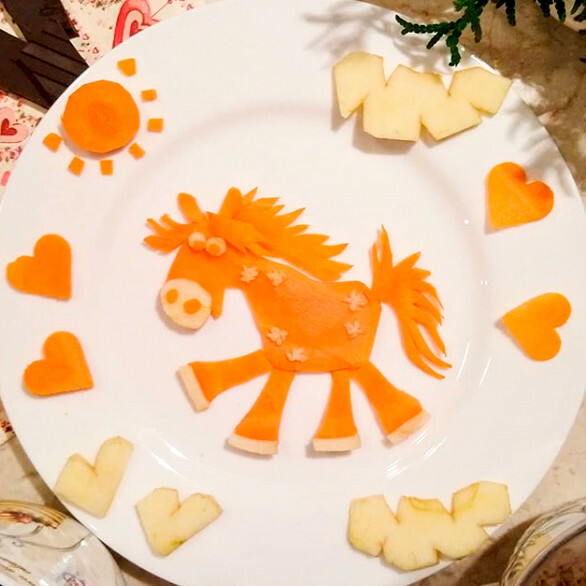 You won’t go wrong with a funny horse made of carrots. 10. What to cook for New Year? 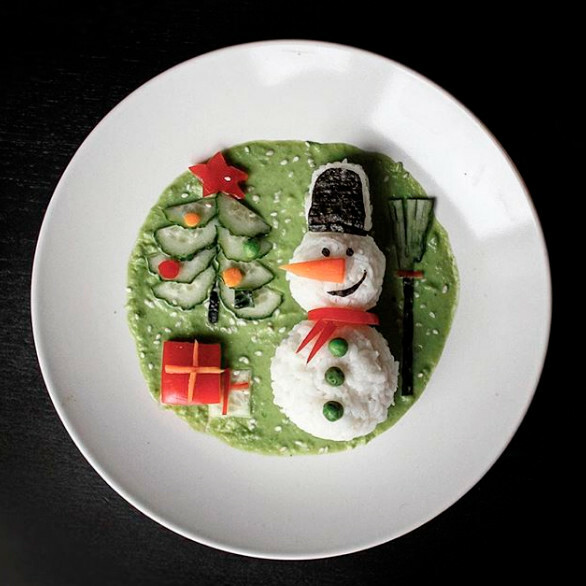 A chubby rice body, pea buttons, carrot nose, tomato scarf, seaweed bucket—and your snowman is good to go! Don’t forget the cucumber tree and tomato gift. Why and where do people eat ‘stones’ in Moscow?